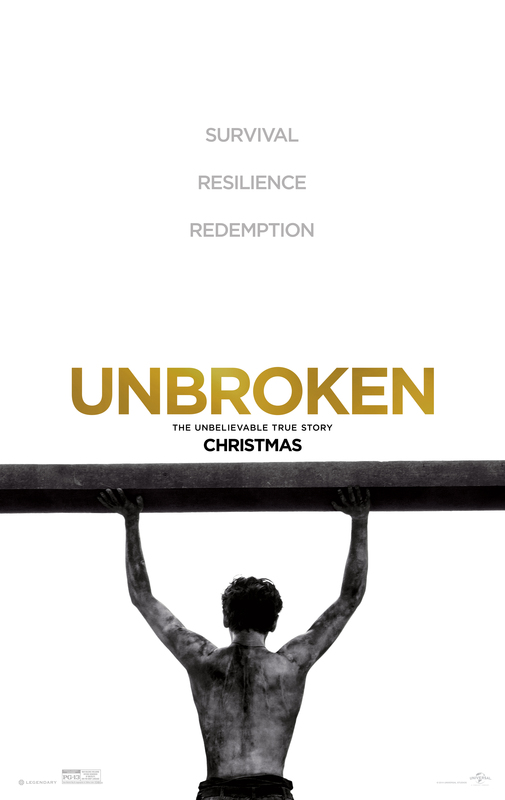 The fact is, the real-life hero of the movie Unbroken, Louis Zamperini, led a truly extraordinary life. It’s a shame that it became a mediocre movie. And a grinding, unrelenting one as well. Don’t go see it if you are hoping to experience the full arc of his exceptional story, or even to learn exactly HOW he overcame his traumatizing experiences and had a book written about him. The film is marketed as a inspirational-albeit-tough story. But it is l-o-o-n-g on the Tough and short on the Inspirational. And that is a big mistake because it ends up being emotionally unsatisfying. Unbroken is broken….and doesn’t work. Its a shame because I feel that must have put her heart and soul in to this film and truly wanted to honor his life. Ironically, she will probably take countless, demoralizing beatings of her own , and then become an inspiring survivor in her own realm. I did find it odd that Jolie of all people was directing a movie about POWs in a Japanese war camp. Thanks for the commentary; I had high expectations for the movie, but perhaps its best just to take it as it is without any major assumptions.